Everybody wants to live a better life. Whether we are graduating college or encountering post-retirement opportunities and challenges, we want to stay on track and contribute to what is good, inspiring, and helpful in the world. But how? 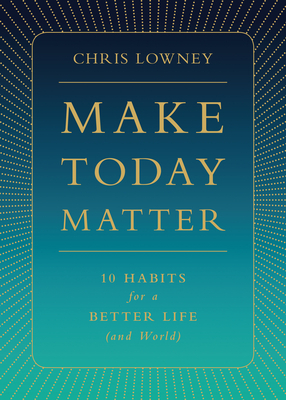 Chris Lowney, a popular speaker on leadership, corporate ethics, and decision making, wants to share with you his ten simple, daily habits that will help you build a better life one day—one moment—at a time. Lowney outlines how to implement these ten simple habits and practices in the fast-changing and everchallenging reality of our daily lives. And he illustrates how these small things performed every day will not only change us for the better but, through our individual influence, make the world better too.